"A nice boy just decided to pick up a knife and show it to his friends at lunchtime. It's a very real problem, but I'm not treating it as a problem. It's part of the brutalization of a generation that's going on at the moment." "Kids With Guns" is the first full dive we get into Gorillaz new sound for their new album. This album was not only going to be dark, serious and contain more of a commentary on the world around us, but it was also going to rock. 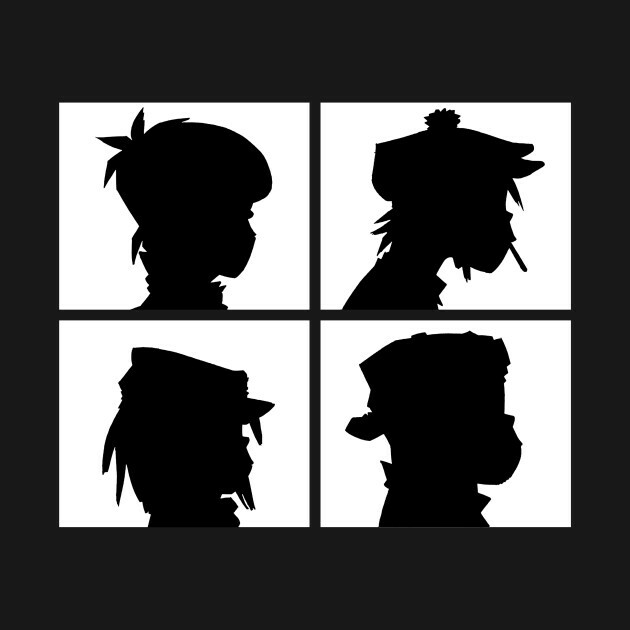 Of all of the Gorillaz albums, "Demon Days" is the one that leans the most towards brutal guitar work, even the hip hop tracks on the record usually have a rocking guitar riff. The co-producer for about half of this record, Danger Mouse (one of the best producers of this millennium, if not ever), also helped to bring in a tight orchestrated sound to the chaos which made it the biggest sounding Gorillaz album yet (when Danger Mouse was done recording his tracks with Gorillaz, Damon had to go back and re-mix the tracks he produced to make them fit within the huge wall of sound Danger Mouse had set for the album). 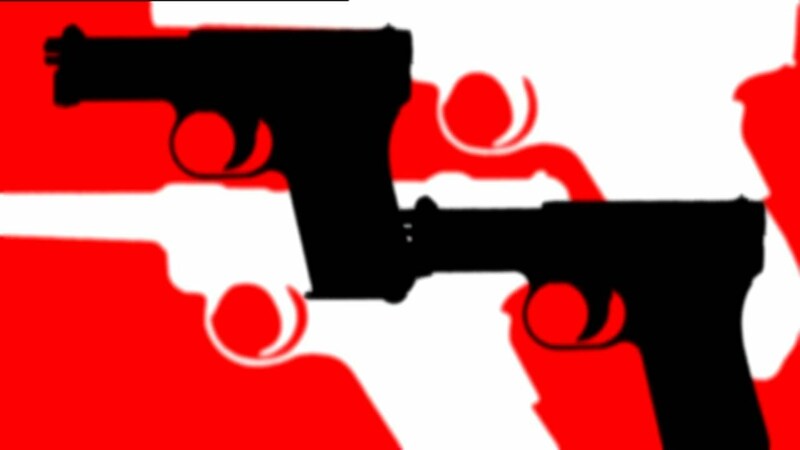 "Kids With Guns" probably would have ended up as a weird yet brilliant trip hop track which experimented with elements of post-punk and no wave on the first album. But thank god it was on this album, because it became an art statement through punk rock aesthetic and tight production. The songs main riff is set by Morgon Nicholls' distorted bass guitar chugging away on top of Cass Browne's drum work. Danger Mouse doubled his drum set with a drum machine to make the groove sound even bigger. As the track went on Damon added synthesizer countermelodies, noisy sound effects, and a brilliantly subtle piano. He also utilized a chugging rhythm guitar which unusually takes a backseat to the song's all consuming bass riff. And then there's Damon's lyrics, Posdunos of De La Soul wanted to rap a verse on this track (my guess is during the second verse in which Damon just repeats part of his first verse), but thankfully that never happened, as Damon's vocal delivery is perfect for this track. The song's lyrics sends very confusing messages. Is it condemning the fact that kids are now obsessed with violence, or is it condemning the adults for being consumed by fear and overreacting? Damon's quote above seems to head towards the latter, but in truth the song maybe from a perspective that sees the evil in all parties. Damon as 2D seems to be trying to provoke fear in the heart of the listener (or maybe he's caught up in the fear as well), trying to rile em up in classic punk rock fashion. Some of the lyrics don't even make sense for any other purpose than to strike fear (phrases like "vitamin souls" and "pacifier" appear out of nowhere, completely unrelated to the topic at hand). The point being, is it a problem that kids no longer see guns as a weapon, but as something cool? Yes, but the elder generation shouldn't vilify them, because that will only make things worse. It will turn these kids into the "monsters", the "fire", we are making them out to be and only start the violence we predicted would happen. The little kid in the quote above saw a knife, found it cool and brought it to show his friends, he wasn't going to hurt anyone. I'm sure if the kid explained himself, someone would have understood, but the very young don't get a voice when an adult's around. So one day these kids are gonna get fed up, and make their voices heard, by any means necessary. I'm ignoring a key element of this track which is the other vocalist on this song, trip hop artist Neneh Cherry. She mainly sings back up on the studio version murmuring phrases like "push it real" and vocalizing over the song's explosive outro. However when Neneh Cherry performs live with the group she makes her presence known. During the song's loud, chaotic finish she screams and pounces around the stage, making it her own. On the studio version the outro is so loud, the band drowns her out, Damon goes crazy on the guitars with feedback and different noisy riffs, the piano rings it's highest note and Cass Browne's drums explode drowning out Morgon's bass and Damon's synths which were the track's focal points before. This is probably one of the best musical performances ever on a Gorillaz record (it certainly is Cass Browne's best at the least) and it's no wonder how this became a live staple for the band. Everytime they play it, the song's instrumental becomes less tightly orchestrated and more just raw, unfiltered chaos. "Kids With Guns" is the sound of Gorillaz starting a full scale war on the world and they were going to take no prisoners. 23. Simple theme. Powered by Blogger.